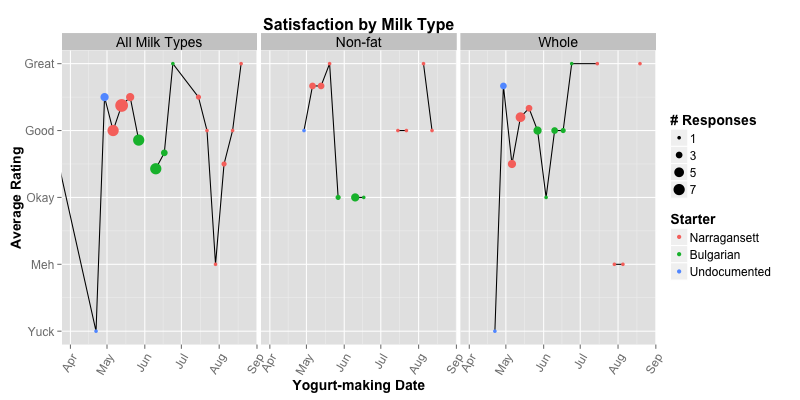 Below are graphs that track the quality of the SYMC yogurt based on user feedback over time. Click on an image to view it at higher resolution. 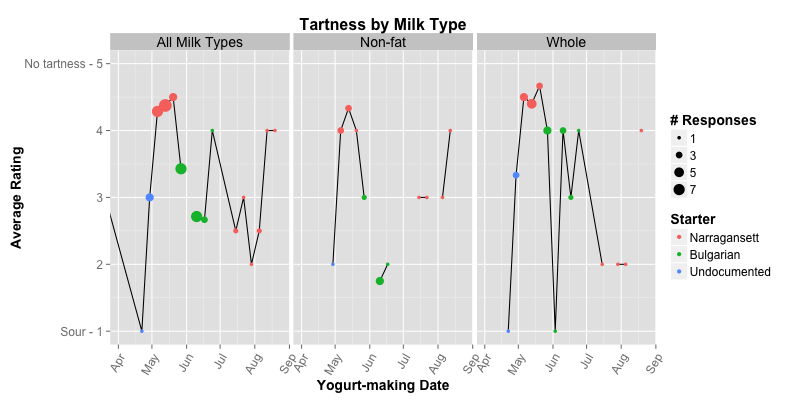 The vertical axis shows the mean rating per batch of yogurt and the horizontal axis shows the yogurt-making dates. 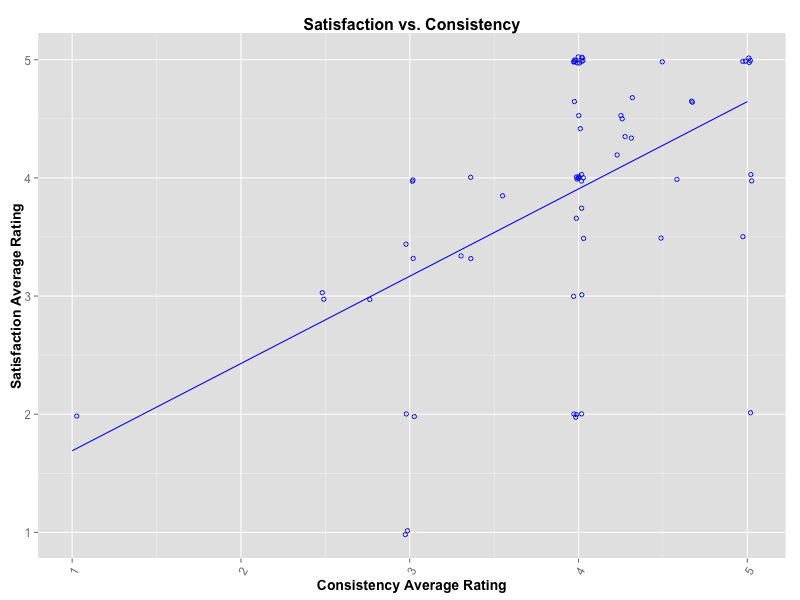 Gaps in the lines indicate no survey responses for one or more weeks. For each week, starter type is indicated by color and the number of survey responses is indicated by marker size. 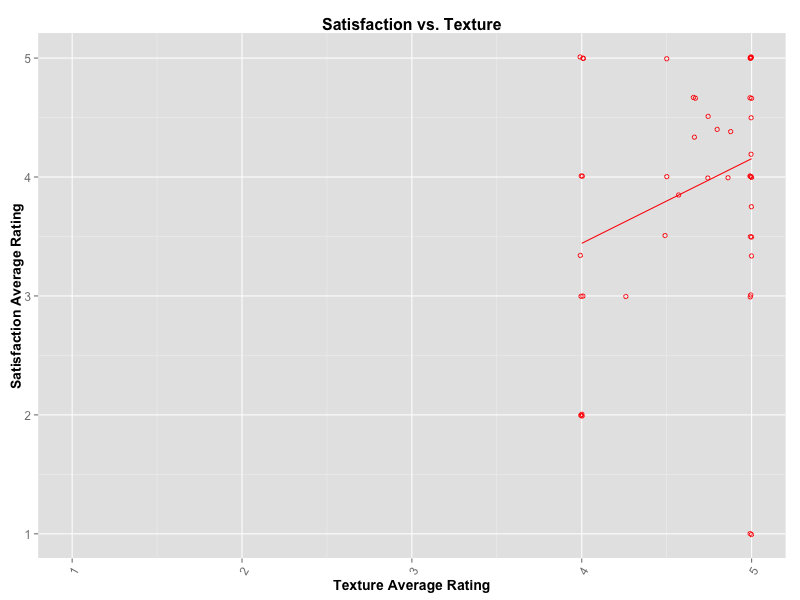 In general, conclusions should not be drawn when there are less than a few survey responses. 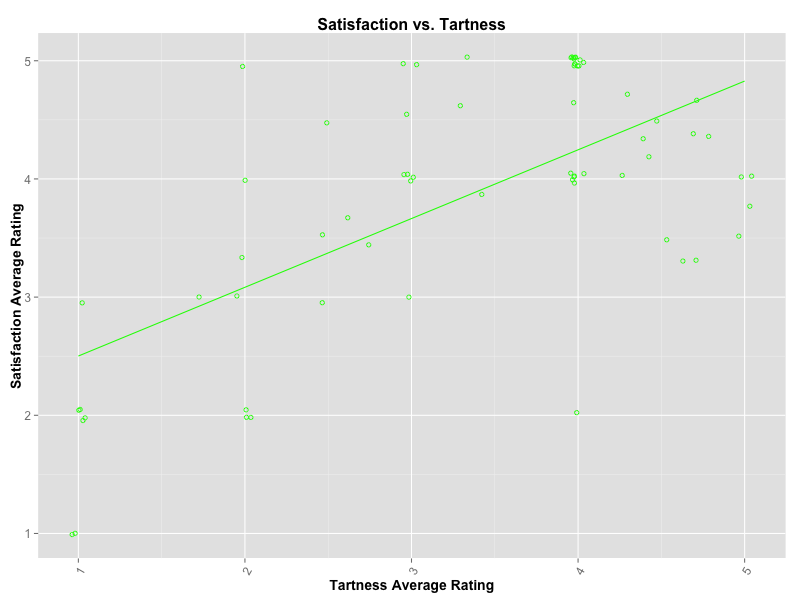 On average, satisfaction amongst yogurt eaters in the coop is highest when the yogurt is smooth, firm, and not too tart as shown in the scatterplots below. 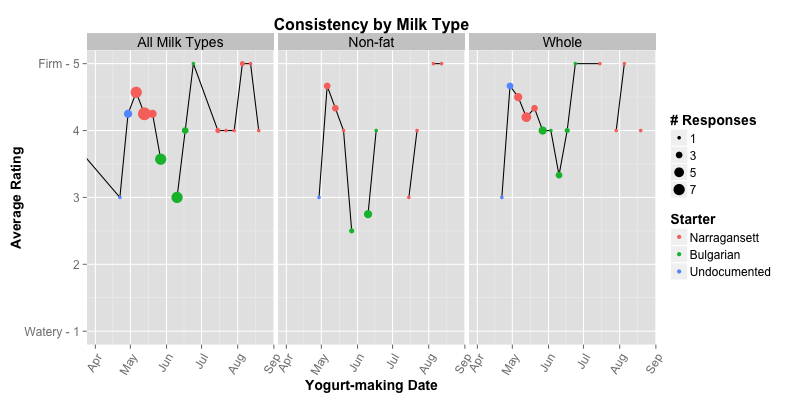 Each point represents the average yogurt rating for one batch of yogurt and the linear fit is shown as a line. Stay tuned for more graphs showing other factors such as incubation time and time since new starter purchased coming soon! 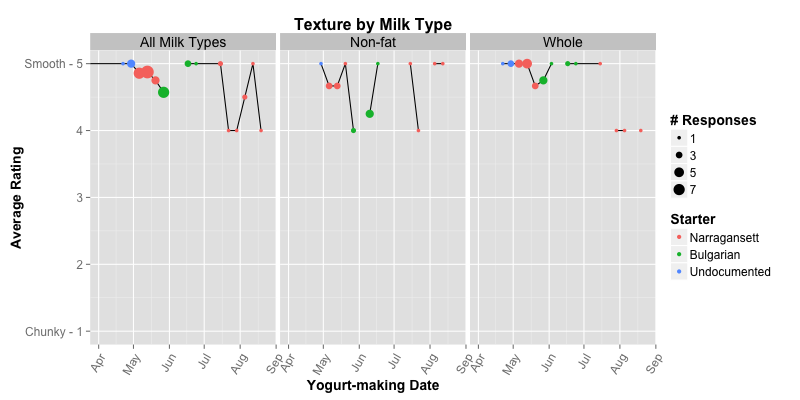 And if you have any suggestions for more graphics, making the current ones prettier, or other yogurt-related metrics to track, email Lizzie or Sam.